Firstly, and perhaps most importantly I would like to start this review by saying that I would absolutely 100% recommend James as a photographer for any wedding! The photos that we received from James (well over 700) were absolutely beautiful and we were over the moon with them. His natural, reportage style suited us and the kind of wedding that we wanted perfectly. Although I must say that he also excelled at the more ‘posed’ group photos as well. James captured every moment of the day seamlessly, and a lot of the time we weren’t even aware that he was there taking photos. James made us both feel very at ease on the day, he used his expertise to make suggestions on where and when would work for our photos. He even came and grabbed us later in the day when the sun was going down to suggest that we went outside for 10 minutes to take a few – the results are absolutely stunning. He had clearly scoped out the local area in advance and thought about what would look good. 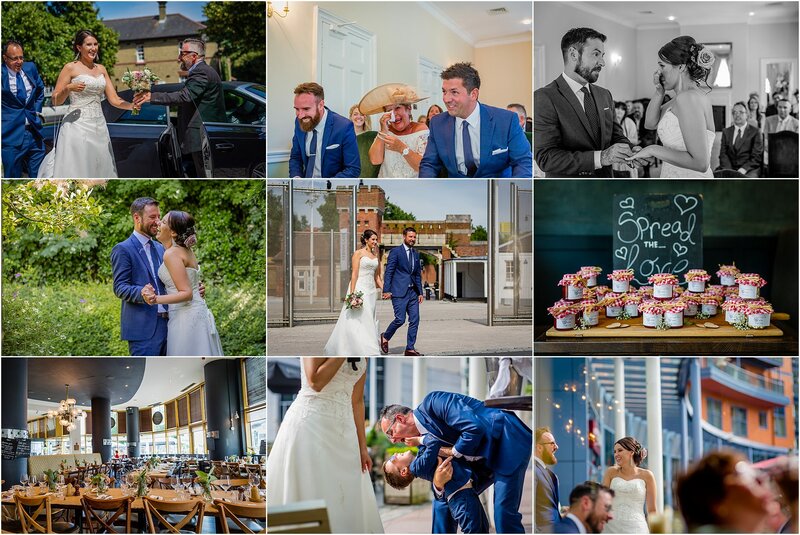 But James was not overbearing in any way and he was clearly very conscious of letting us enjoy our day, as well getting some amazing shots – the perfect balance. From the moment he arrived, James was helpful (even doing extra-curricular activities such as taking stickers off shoes! ), friendly and professional. A number of our guests commented on how friendly James was. He chatted to many of our guests making them feel at ease and I really believe that this shows in the shots (a family member even booked him for her own wedding on the day!). James stayed well in to the evening of our wedding and when we surprised him with a fire engine outside; he rose to the challenge and got some really creative shots in. Prior to the wedding, James kept in contact, he confirmed what he would need from us well in advance. His positive comments via email and social media showed his enthusiasm for the wedding and made us feel even more excited too! 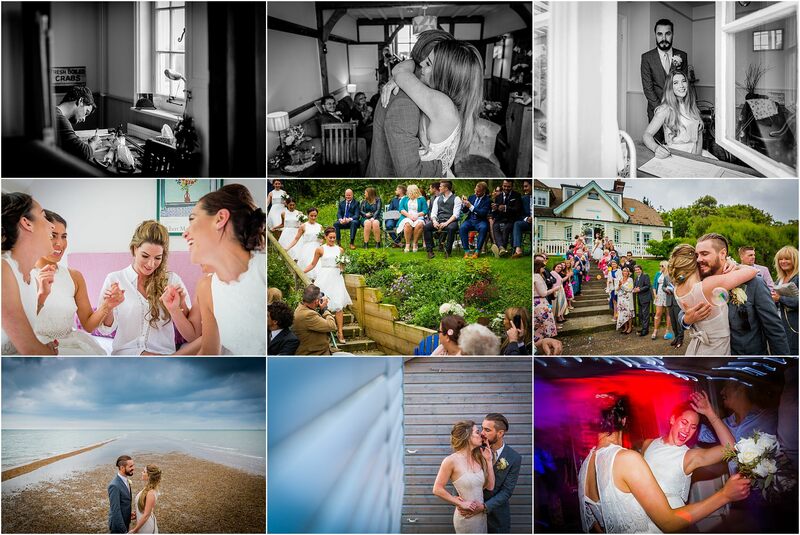 A couple of days after the wedding, James shared a few ‘sneak preview’ shots with us, which was really useful as it gave us some pictures to show people. A week or so later he also created an amazing sideshow to our first dance song, which we watched whilst we were on honeymoon and could also share with others. That was really special. We are so pleased with James on the day, and then the final photos that we received really exceeded expectations. There were so many beautiful shots to choose from (I’m still not sure how we will!). 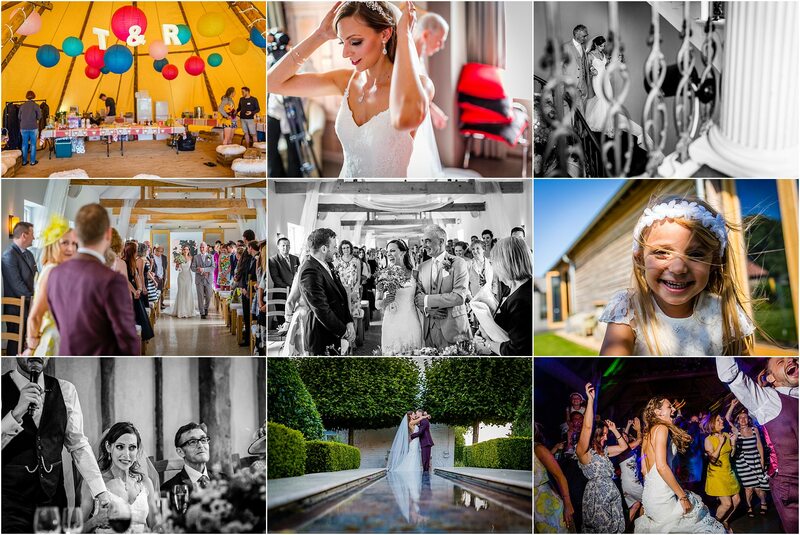 James is clearly very passionate about his work and puts his all into each wedding. This completely comes across in the final photos and I can honestly say that it was a complete pleasure having James share our wedding day with us. I feel sad for anyone that doesn’t use James as their wedding photographer! We can’t thank you enough James. When we were researching photographers for our wedding we came across James, and after looking through his photos we were really impressed with his style and were over the moon to find out he was available on our date. We booked him straight away and from the first contact he was quick at replying and always friendly and professional. We met up with him for a drink so we could break the ice, go over some questions we had and run some ideas we had past time. We were chatting for hours about the wedding and also ended up sharing travelling stories. A month or so before our big day we had our pre-wedding shoot. Sabrina and I weren’t sure what to expect from the day and were worried that it would be too cheesy but it was actually really good fun and got some amazing photos from the day we will treasure. On our wedding day James turned up early and throughout the day and night James was smiling and made sure he was there capturing every special moment without getting his camera in the way of the moments. So many of our guests commented on how lovely James was and how it felt like he was part of the family rather than a stranger we had hired because he was so friendly and made an effort with everyone. James directed everyone politely and efficiently during the formal photographs and made such an effort all day to make sure everything was done as we asked. We were able to offer James a room in our venue for the night so after he had finished taking photos all night he accepted our invitation to join us for a few drinks where we got to enjoy his company before we all called it a night. 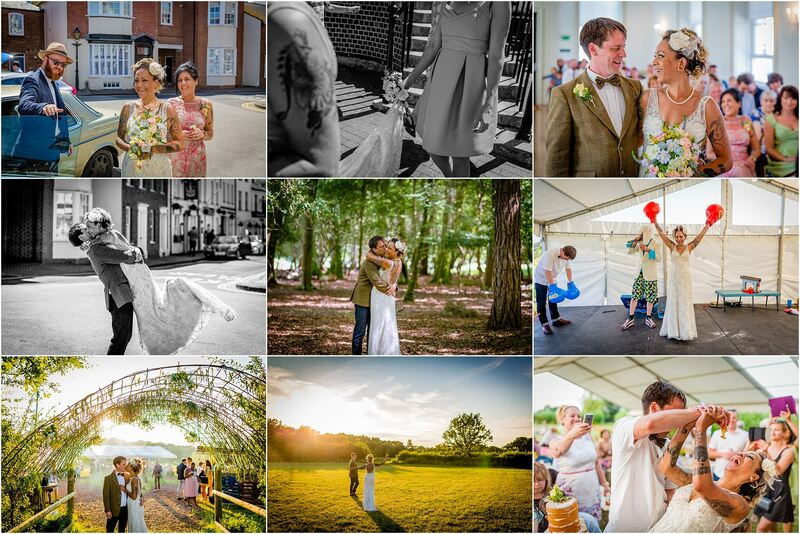 The photos were sent to us much faster than we expected and we were blown away by the amount of photos James had taken! 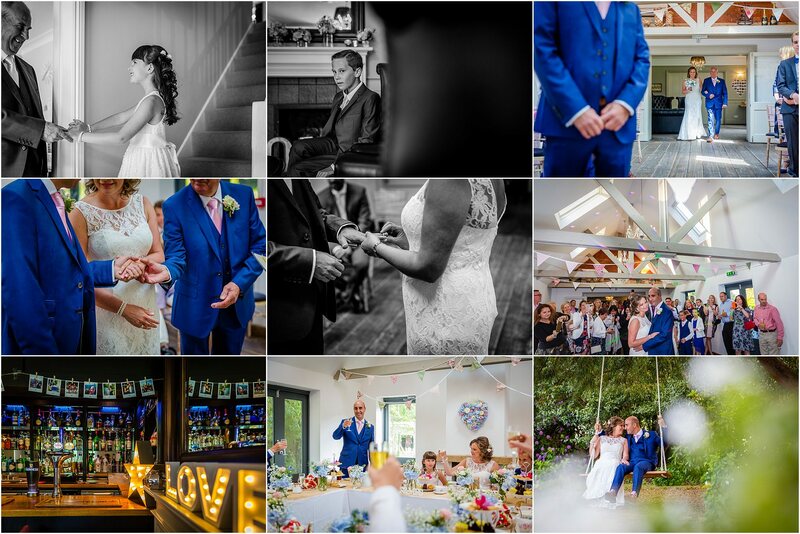 We absolutely were overjoyed by the quality of the photos and by all the memories he managed to capture! I am so happy that we chose James as our photographer. The photos were beyond amazing and I’m honoured to say that we’ve made a friend in James and have met up with him since. James is an absolute professional who clearly takes great pride in his work and I will recommend him has a photographer to anyone who needs one. Thanks so so much James mate we will forever be so glad we chose you. Jim, what can i say? You were absolutely brilliant on our wedding day. We found you very professional throughout our whole wedding day from start to finish. Not only that but before the day arrived you were really helpful in answering any questions we had. When we had any questions prior to the big day, we found you to be very quick at responding to us. I think this is an important aspect to what you do as it gives us confidence in you even before the wedding day itself. On the day, you were amazing – very approachable and you put everybody at ease. Again, this is key in capturing people on the day, if they feel relaxed and at ease then you will get better shots and your warm, kind personality makes people feel at ease with you. Equally though, when you needed to capture particular shots you were not afraid of giving more direction to people when you needed to. Every single person in our daytime wedding party commented on how professional and nice you were around them. You built a great rapport with everyone during the day and the evening and we have also received feedback from evening guests at how impressed they were with you particularly that you were blending in to the background and not being intrusive. We had just the most perfect, best day ever and having a friendly person around taking photos of our wedding made us just feel completely at ease and hopefully gave you some natural shots. Myself, Nic and our families cannot thank you enough for helping to create such an amazing day for us. 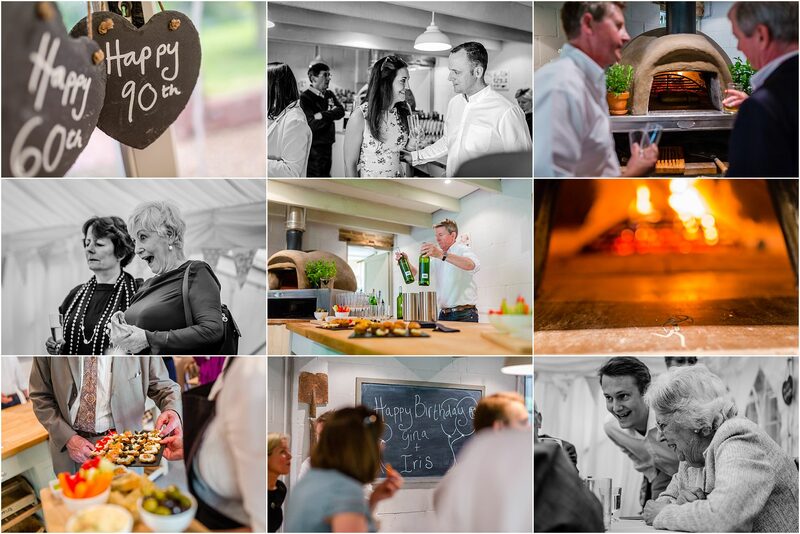 It’s not just about the venue, food, guests, DJ and evening entertainment that help to create a great atmosphere. Having a photographer that is approachable, easy to talk to and professional makes people feel comfortable and relaxed during the day so that they enjoy themselves. You tick all those boxes. We both make these comments without even seeing the full pictures yet but i have every confidence that they will turn out to be very special. We cannot thank you enough for what you did on our wedding day. We will be recommending your services to others at every available opportunity. Having attended a wedding recently where James was the photographer and noticing how totally professional he was as well as being wowed at the wonderful moments he captured it was a no brainer that I would ask him to take photographs at a party I was hosting with my brother and sister to celebrate our Mum’s 60th and our Granny’s 90th birthdays . We wanted James to take photos of natural moments throughout the day. He totally surpassed our expectations and delivered a collection of photographs that we will cherish for ever. Every time I look at them I smile. James was super efficient at preparing the photographs for our perusal and we look forward to him being the photographer at the wedding of my sister next year. Many thanks on fitting in so naturally to the events of the day and having the instinct to direct the camera to moments of magic between people that would have otherwise been missed. I would recommend James to anyone wanting their special occasion recorded in a natural and personal way.